You can find this single and more music from his catalog on all streaming platforms. This is the last one of the year and as always, I have no idea what to say! I could go deep, be dramatic, find purpose and meaning, be calculated and strategic or be really rushed and to the point. . . I’m just not sure what I want to share right now & THAT'S THE TRUTH. My “Dirty Thoughts” are supposed to be liberating. Out of the structure of what I have to say to keep you guys entertained. But sometimes, that gets hard. To dig into my soul and show the uncensored truth. . . How many of you have really met Dirty? When it’s the last one. . . of a set, of a group, of a memoir (who remembers Sleepless Nights With Dirty? That was some of my best work), it's supposed to be meaningful, uncensored and strong. . . If you have been paying attention this year you know what mayhem has occurred in my professional and personal life. You know how I have learned to fight fire with water instead of engulfing things in rage. You know how much BALANCE has been my call to action and self love has been my method of sanity. Today I just want to say thank you to my team, the ones who are on the #SQUAD, the ones who show support by sending me good vibes, and every person who has saw the effort and supported our mission. This is not a ME thing, this is and will always be a WE thing. As I wrap up my year I have decided that forgiveness is key. Find yours and don’t give it up! 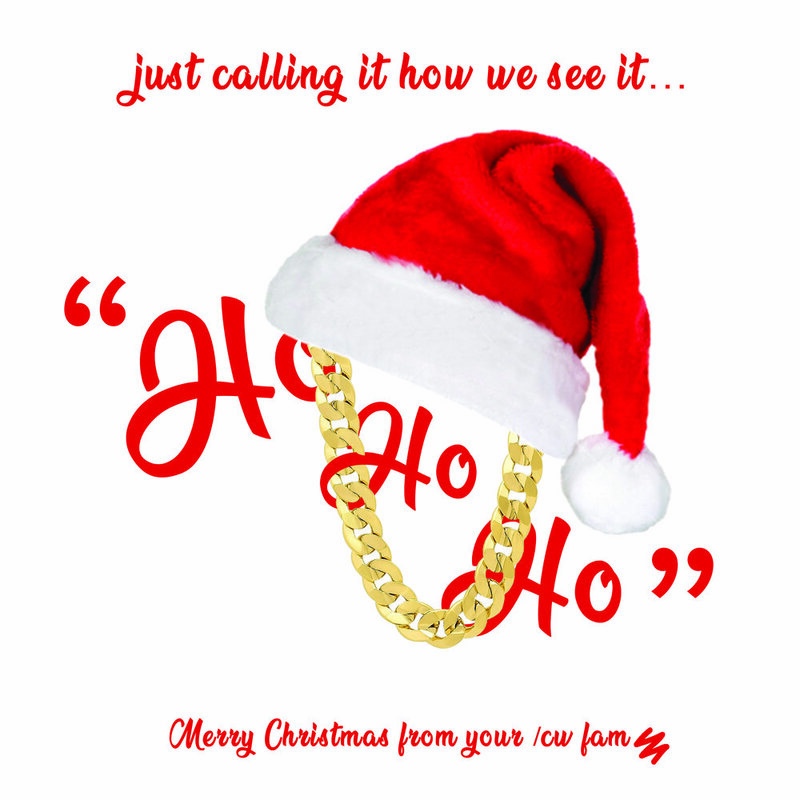 Merry Christmas from your /CW fam! Our gift this season is always to #SupportingTheLocal ! Click Here to subscribe to CopyWrite Magazine & join the movement! (LAST) Fashion Friday of 2018! Looks like we made it! Its the end of the week and the end of 2018!! I gotta give thanks to CopyWrite Magazine and the readers who have given me the opportunity to share my thoughts and ideas on fashion. The ride has been fun and I cannot wait to see what 2019 has in store! This week, I bring you a mood I was feeling in Chicago. Yours truly took his drip to the Windy City! Deep shades of green paired with black gave my step the swagger I needed to let my presence be known. My favorite part of this look was the gold chain you see hanging across my jacket. That is literally a wallet chain that i clipped to each side of my coat to give it a regal appearance. As always, keep it saucy Milwaukee and be safe this holiday weekend! Make sure you give look no matter where you go and if haters can’t take it, you’re doing a great job! Today’s submission is a dope video created by Greg Conley and the artist Mayyh3m called “Wake Up.” The message of the video speaks about the unfortunate climate we live in now of unjust police brutality, Black on Black crime and the daily struggle Black men face just trying to make it home at the end of the day. The chorus repeats the recognizable biblical prayer “If I die before I wake, I pray the Lord my soul to take,” because that’s how these men feel, having no idea what could happen once they walk out their door everyday. But they still have to live their life. The bridge of the song slows everything down a bit and discusses being mindful of who you keep around you and call your friend. You can’t trust everyone... I know we all can relate to that. Overall, the visuals are great (with a lot of dynamic transitions) and the beat pairs well with them. We could see J.Cole or Wale flow nicely over it. Reminding them that you do not have to leave behind “negative” Fingerprints to determine who you are as a person. *Nofingerprints LP also has a ton of events and community activities that they host periodically. Ex: Lupus Awareness, Breast Cancer Awareness, Thanksgiving Full Dinner Drop offs(Blessings in a Bag), Back 2 School Event (supplies, free food, face painting, free haircuts, MFD, etc.). 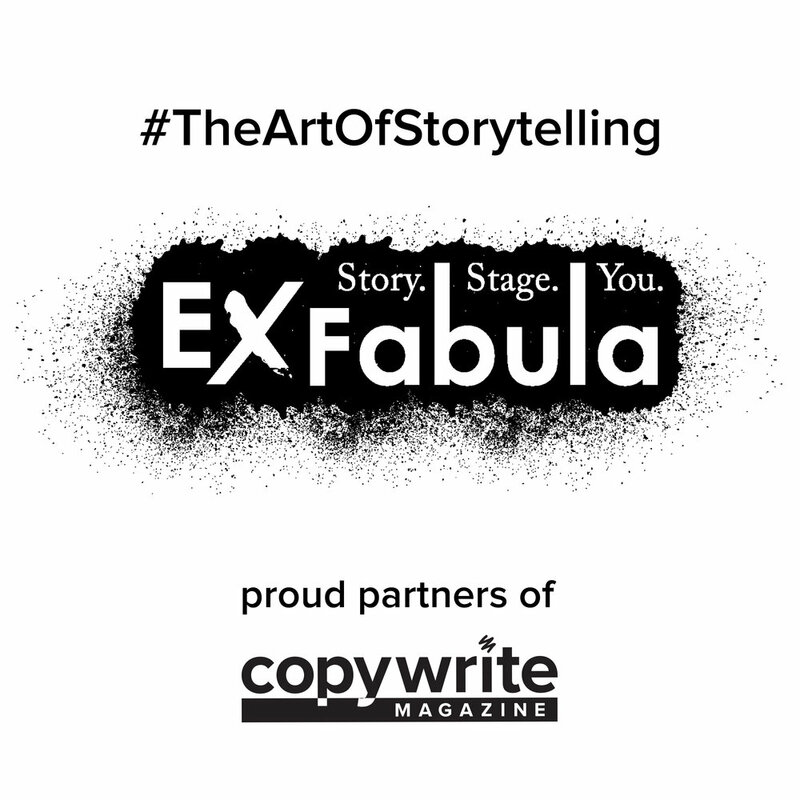 Ex Fabula is thrilled to partner with CopyWrite Magazine. This partnership will combine different forms of expression and produce a space for community members’ true, personal stories in written and visual form. By connecting the stage to the page, both Ex Fabula and CopyWrite will reach new audiences, connect with new storytellers, and build community. As we continue to support the local we will now be vocal in our partnerships to further connections in our community and to bring light to the real bonds that have elevated the Urban creative scene in MKE. This is the Art of Storytelling! Vibes, vibes, vibes! Nile’s latest song, “Adult Swim”, has this melodic hook that captures the feels of the summer here in the Mill, but also has a tempo of chill and laid back basement vibes! All in all, Nile really puts us on to another new vibe this week with “Adult Swim” off his latest project, “Tomorrow.” Make sure to watch this video and cop a listen to the full length project by Nile on all streaming platforms! Fashion Friday - "One Time for Sagittarius Season"
Happy Friday Milwaukee! With 2018 coming to a close, that also means its time for my BIRTHDAY! The year has been so good to me with joining CopyWrite, having the opportunity to style some of Milwaukee’s finest, and collaborating with creative giants. It has been a great ride! This weekend I am celebrating my 26th and as your fashion ambassador, its only right that I step out in style! The vibe was black and gold to represent the royalty we are. This shirt has been laying in wait in my closet for such an occasion and you can’t go wrong pairing your statement pieces with all black! Hear me and hear me good! Your look can say a lot when you bring simplicity. Follow me on Instagram @2dressd2bstressd to see what other tricks I pull out of my hat this weekend!